Sherbet - It's spelled Sherbet, but it's properly pronounced "Sore Bay". 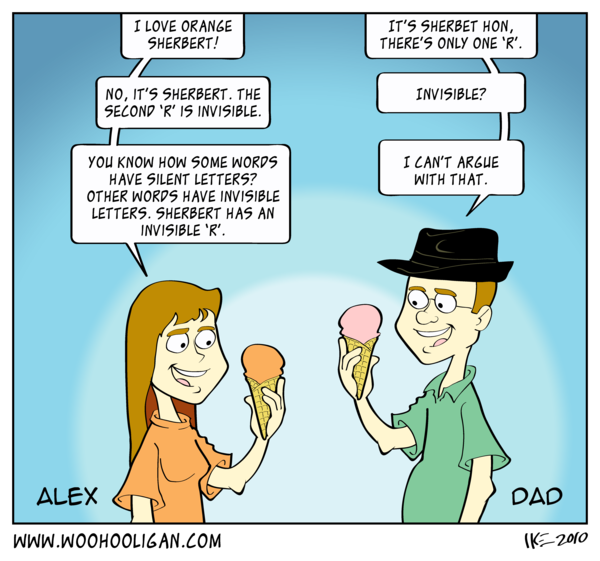 Entirely correct - Aye, Sherbe()t and Sorbet are different but related. If I recall correctly, the difference is in the egg.